The challenges of ensuring expatriates are paid fair salaries across different countries, in the current economic climate, of the credit crisis together with rapid currency and inflation fluctuations are increasingly complex. The current economic climate has made it necessary to constantly review expatriate salaries. Rapidly fluctuating exchange rates and inflation can increase or decrease the amount of salary paid, and significantly impact purchasing power both positively and negatively in a very short period of time. The approach many organizations have taken is to convert a spendable percentage (typically 60%) of the expatriate’s salary into the host country currency on a monthly basis and to provide non-cash benefits such as accommodation, transport, education of children etc. This can result in employers paying too much or too little salary in these volatile times. Too Much: The expatriate experiences short-term upside, as a result of a change in the exchange rate. A fall in the value of the host country currency against the home country currency, without an increase in the prices of goods and services in the host country, results in the expatriate having increased purchasing power. It may appear for a while that all is well. The expatriate has an unexpected windfall. A wise expatriate will save this windfall knowing that the situation will not be permanent. Either the exchange rate will adjust back to where it was or prices and inflation will begin to increase until economic equilibrium is achieved. The reality is, that in the short-term the employer will be faced with increased overall salary costs, and will eventually have to deal with disappointed expatriates when the trend inevitably reverses itself and their purchasing power drops again to realistic levels. Too Little: The expatriate experiences short-term downside as a result of a change in the exchange rate. An increase in the value of the host country currency against the home country currency, without a decrease in the prices of goods and services in the host country, results in the expatriate having reduced purchasing power. This is when the employer faces complaints from expatriates unable to make ends meet. Prices of goods and services have remained the same in the host country but as a result of the change in the exchange rate, the expatriate receives less salary in local currency. In the long term either the exchange rate will adjust back to where it was, or prices and inflation will begin to decrease until economic equilibrium is achieved. The reality is that in the short-term the employer will be faced with decreased overall salary costs and will have to deal quickly with unhappy expatriates. Clearly the approach on converting a portion of the salary into host country currency on a monthly basis does not work any more. 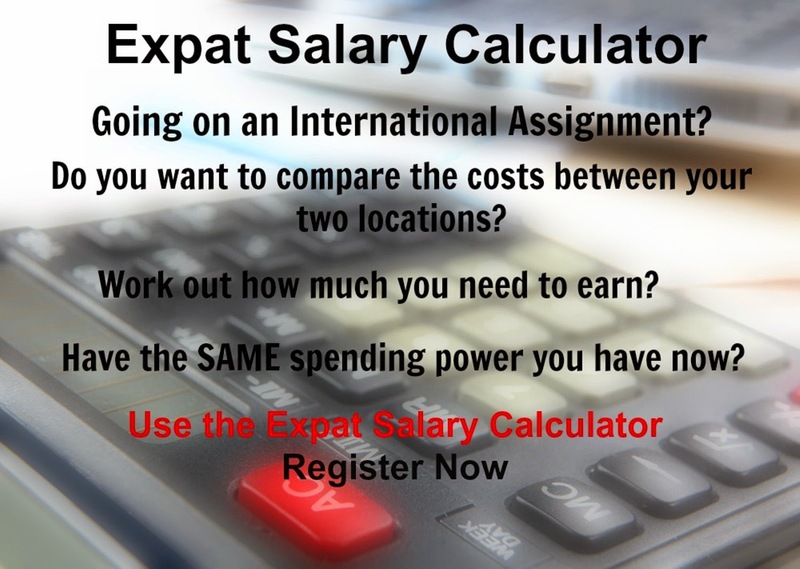 -What amount of salary will ensure that the expatriate will have the same purchasing power overseas as they have at home? -What process / tool will be used to ensure the salary retains its purchasing power when inflation and exchange rates change? -Committed Salary: Decide what amount / portion of the current salary (in home currency) will remain in the home country to meet committed expenses such as mortgage commitments, retirement funding, savings etc. -Home Gross Spendable Salary: Establish what amount / portion of the current salary (in home currency) is spent in maintaining the expatriates current standard of living / lifestyle. What will the expatriate need to spend their salary on in the host country? For example will accommodation be provided or will the expatriate pay rent, will healthcare be provided etc. -Home Net Spendable Salary: Establish the net spendable salary by deducting the amount of tax, social contributions and any other statutory deductions applicable in the home country to the Home Gross Spendable Salary. 1) The difference in the cost of living index for the same basket of goods and services between the home and host country applicable for the spendable salary. 2) The difference in hardship that the expatriate and their family are likely to experience. 3) The exchange rate between the home and host country. -Host Gross Salary: The Host Net Spendable Salary is “grossed up” by the amount of tax, social contributions and any other statutory deductions applicable in the host country, to establish the host gross salary that will provide the expatriate with the same standard of living as they had in their home country. The Host Gross Salary is established in local host currency. As a result it is no longer subject to changes in the exchange rate. Over time the salary may be eroded by local inflation which will be reflected in the cost of living indexes. It is recommended that the Host Gross Salary be reviewed on a quarterly basis, to monitor the impact of any change in cost of living and the exchange rate.